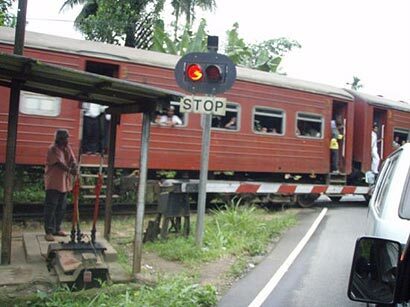 The Department of Railways says that train services between Anuradhapura and Mihintale will be free of charge for devotees during the Poson season. Director of Operations at the Department Wijaya Samarasinghe said that the special service, which will be available until the 17th of this month will commence at 9.45am today. Samarasinghe noted that this special service will be available 24 hours a day. The special free train service for devotees consists of 52 turns between Anuradhapura and Mihintale.